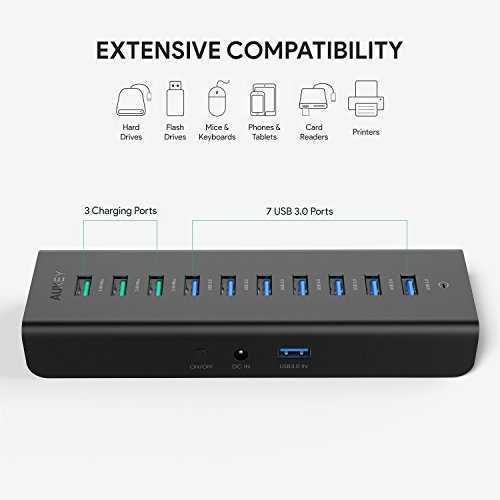 The USB ports allow you to connect to any device to our PC, it doesn’t matter what it is. 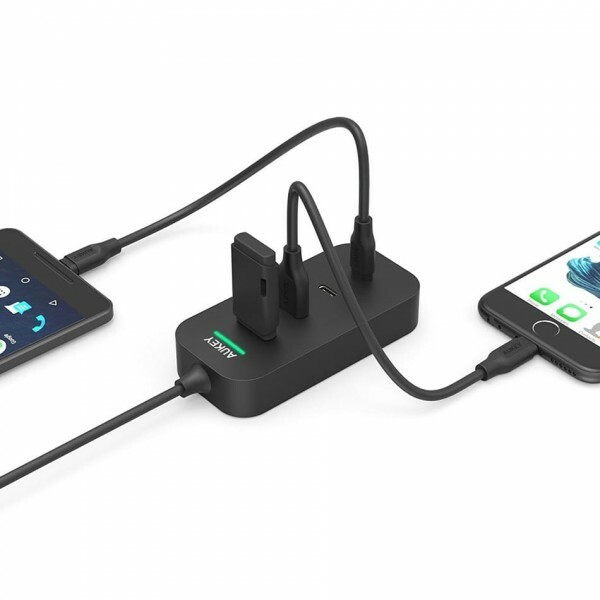 Most of the time we connect a printer or a scanner, but lately most often connects a device such as a smartphone or tablet to Exchange data, or only to recharge its battery. 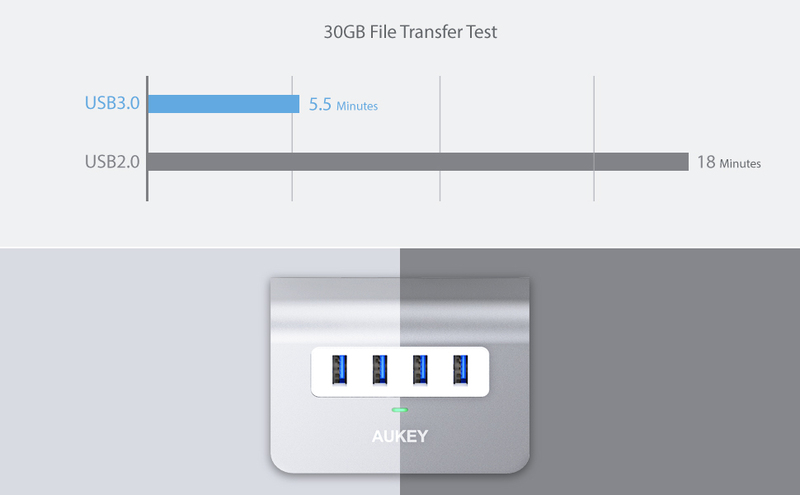 The new USB 3.0 standard enables high-speed data exchange, however, and is therefore of great benefit when we have to use external hard drives or USB flash drive using the new standard, the major problem though is the lack of USB 3.0 ports in most PCS. 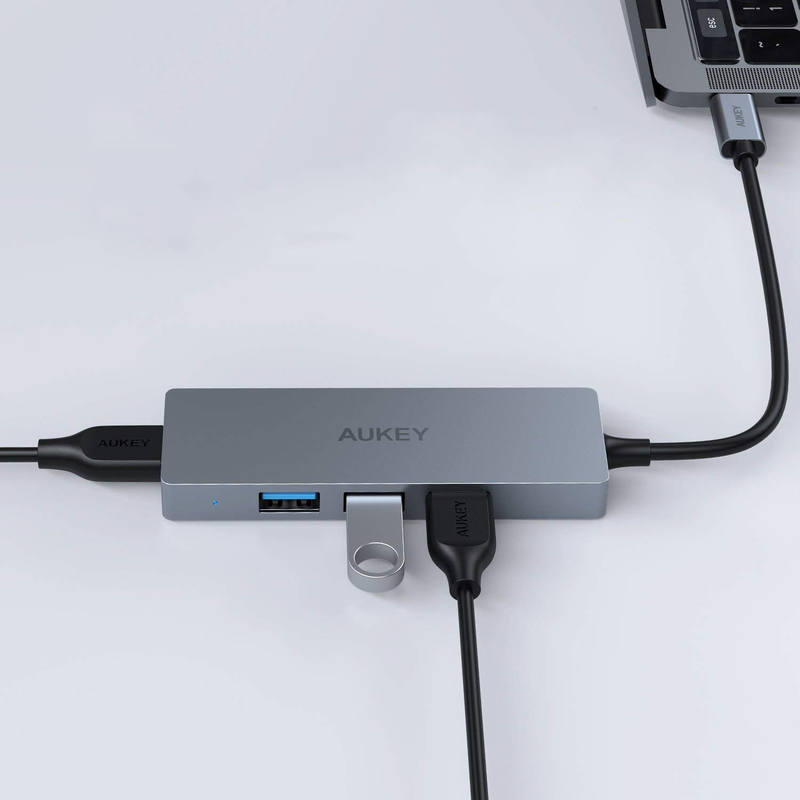 From the recent articles you have seen that we have opened several partnerships with Technology-wiki, including Aukey ® which manufactures electronic devices of quality and in full compliance with international safety standards. 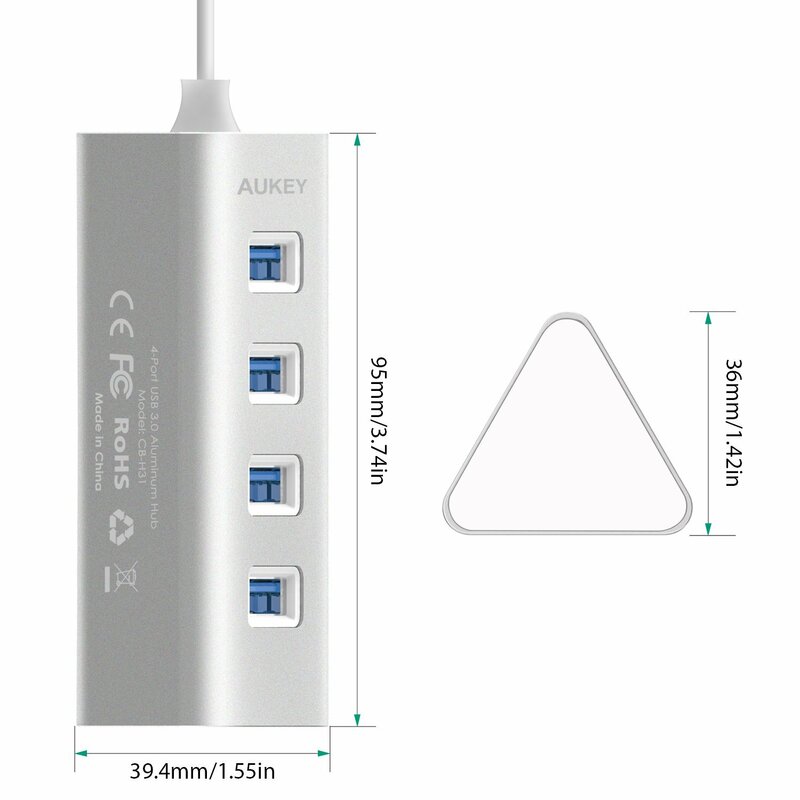 Let us therefore to describe the product. 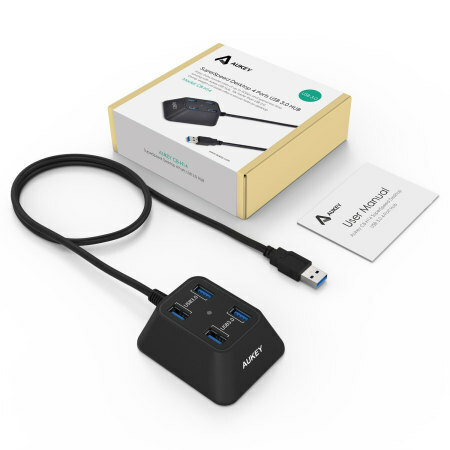 Supported devices: Flash drives, external hard drives, smartphones, tablets, cameras, card reader, MP3/MP4, mouses, keyboards, pendrive USB Wi-Fi and other compatible devices. 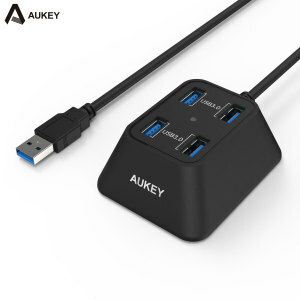 On the same date of writing the article there was received in the morning by courier that product by Aukey ® but through Amazon, sent to us for free to test it. 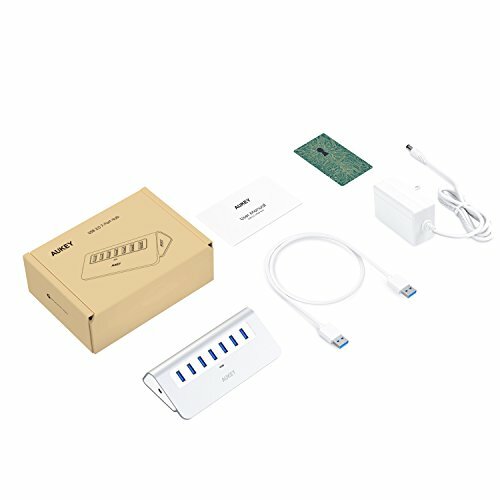 Here’s the package as it stands. 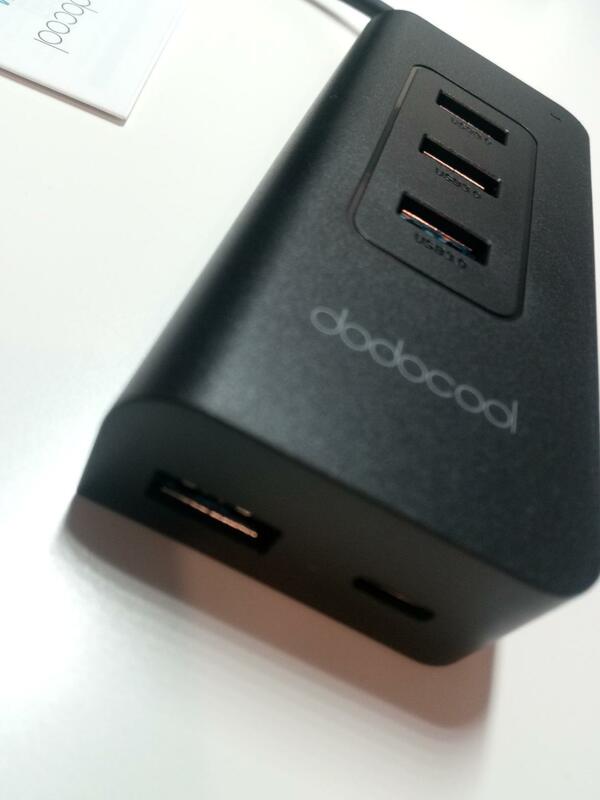 Opened it looks like this product, remember that each detail of the packaging is made of recyclable materials. 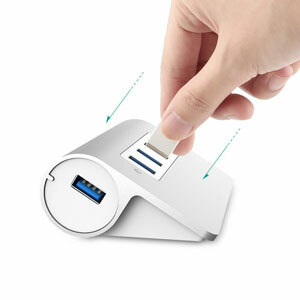 Very commendable effort from the company. 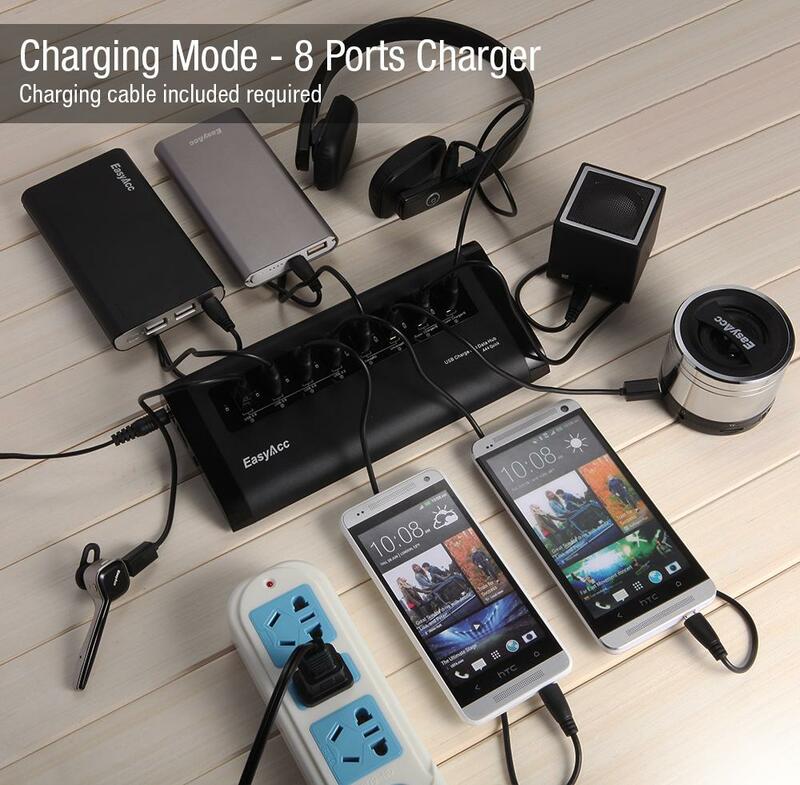 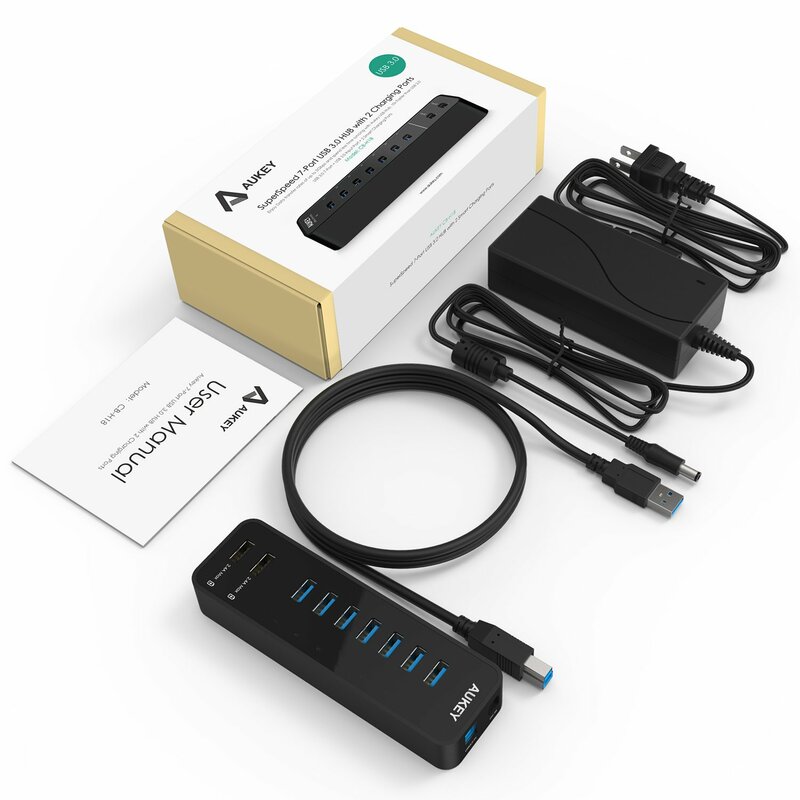 The package contents USB 3.0 HUB, or cable and power transformer, a USB cable and user manual (in English). 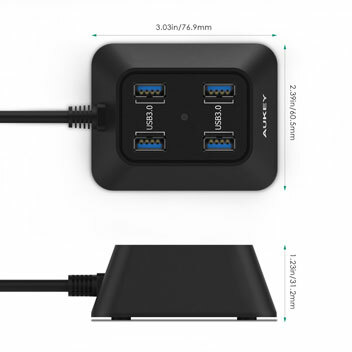 Product details are very simple and linear, the aluminum enclosure with a touch of class but provides resistance to the USB HUB. 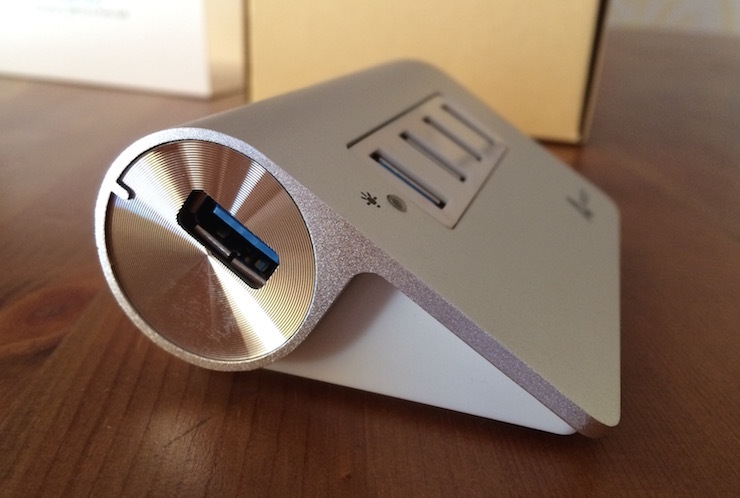 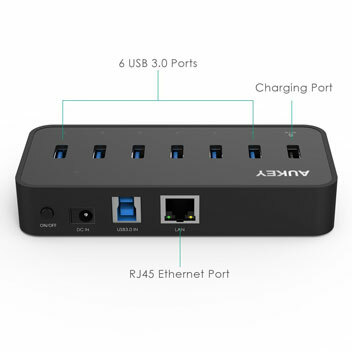 7 USB ports are clearly visible and the main gateway to connect the HUB to your PC, in addition to the power socket on the opposite side. 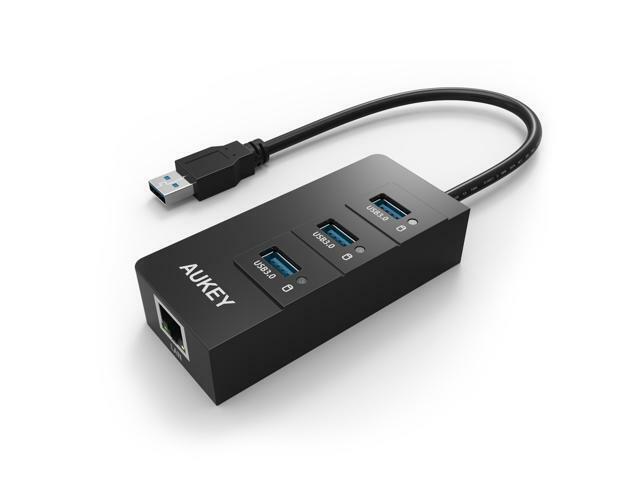 The unit worked perfectly, without requiring additional drivers and on our operating system Linux Mint 17 “Sheath” it worked without any problem connected to our notebook Asus G74SX. 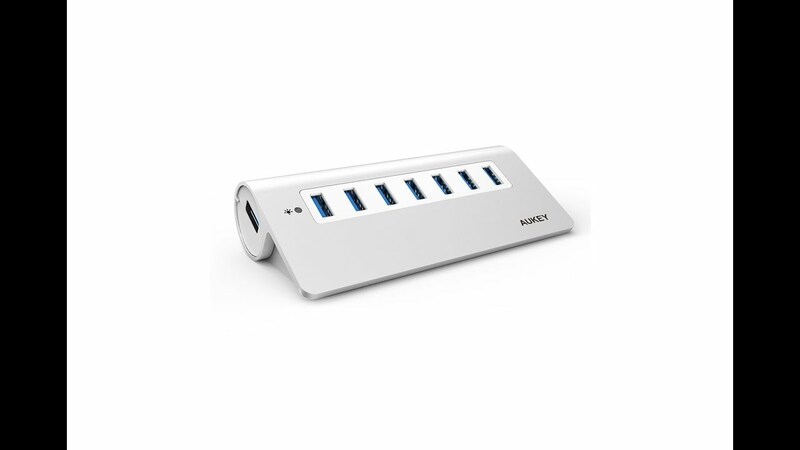 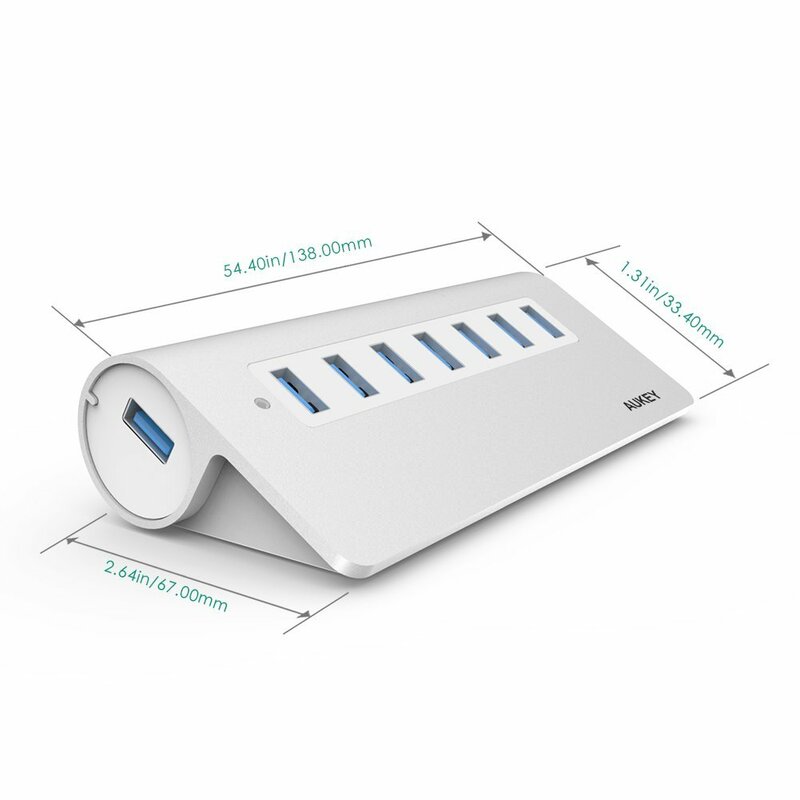 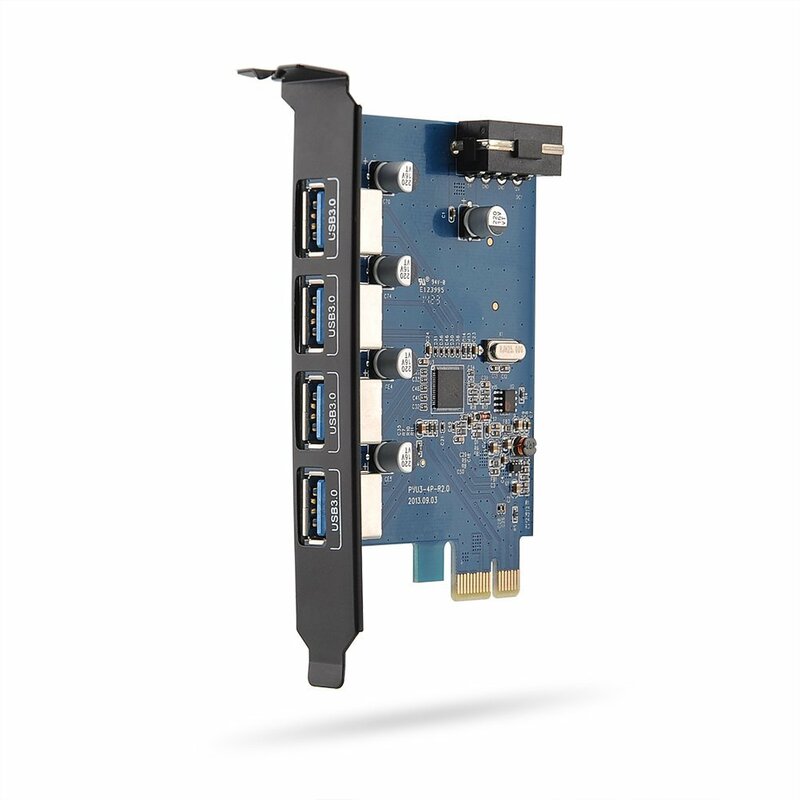 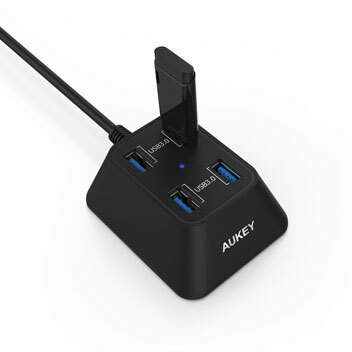 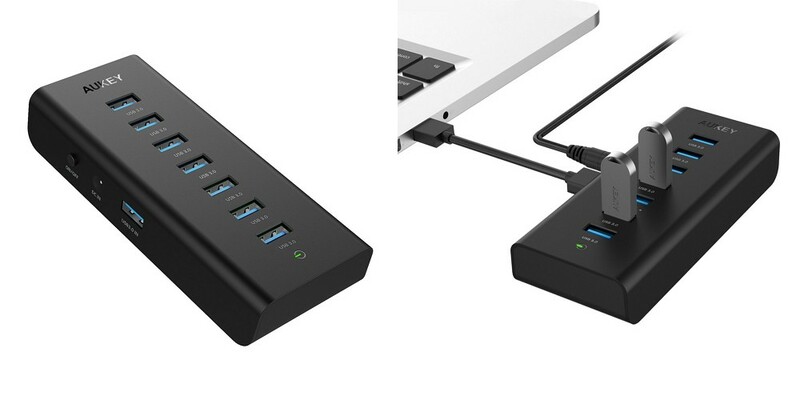 The product Hub 7-port USB 3.0 SuperSpeed Aukey ® is for sale on Amazon at the current price of £ 23.99 including VAT and free shipping, is available also as 10 Gates at the current price of £ 35.99 including VAT.